Why is the world’s largest ecommerce retailer pretending to be stupid? Let’s start with two facts, which lead to a conundrum, which leads me to believe that the world’s largest ecommerce retailer is pretending to be much dumber than it is. Fact one / Brands, retailers, websites, browsers and ad servers have a detailed knowledge of our movements online. They use this knowledge to serve us hyper-targeted advertising relevant to our preferences, past purchases, location, and more. We’ve all heard this complaint: ‘I looked at a product online once, and now the product is following me around the web, popping up in display ads on every site I visit.’ It’s so commonplace that it’s mundane. Fact two / Amazon is incredibly adept at using data to inform product recommendations, scraping information from its vast ecommerce ecosystem and turning it into gold through related products, recommendations, and targeted advertising. Amazon is so good at doing this that even when it spends $14bn to buy a grocery chain, industry watchers posit that the purchase was more about data acquisition than anything else. Conundrum / Given the above two facts, why is data whiz Amazon advertising car key fobs to a subway-riding friend living in New York City? Or trying to get me to buy what looks like a TV antenna from the 1980s? These aren’t hypothetical examples. They’re actual display ads Amazon has paid to insert into my Twitter stream and the Twitter stream of a friend. If you spend any time on Twitter, chances are you’ve seen ads like these. ‘Hurry!’ they often implore. 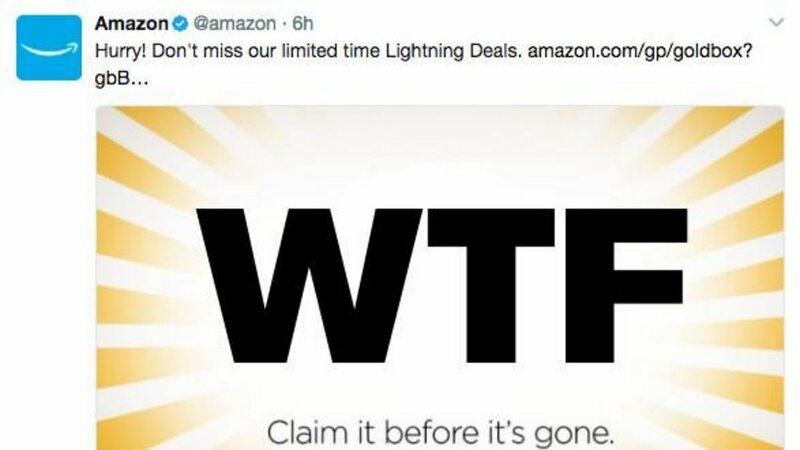 ‘Don’t miss our limited time Lightning Deals.’ And then, below that call to action, a picture of an item far enough outside of your typical Amazon purchase patterns as to border on the absurd. A few favourites, gathered by a friend in just the past few months: a refrigerant leak detector, a wet suit, and a 120-serving bucket of something called ‘Long Term Milk’. Plus my absolute favourite, an ad that looks for all intents and purposes like it’s trying to sell the contents of someone’s lint-filled pocket: two screws, two mismatched washers and a penny. These ads aren’t unique to Twitter, either. On Instagram, for example, the ads can be even more obtuse: a single cryptic photo marked ‘Best Seller’. Amazon, whose own advertising sales reportedly top two billion dollars annually in revenue, is making ads that would get rejected by your local diner placemat for being too oblique. Keep in mind, these ads aren’t some algorithmic stab in the dark. From what I can tell, they are exclusively served via data-rich browsers (you won’t find them in your Twitter mobile app stream) to people who are almost always also logged into an Amazon account tied to a large number of purchases. I’m an Amazon Prime member. Amazon knows tons about me and my shopping habits – what I’ve bought, what I’ve thought about buying, where I live, when I shop. Amazon is clearly not naïve, so this tactic must be intentional. One idea is that Amazon is intentionally advertising vague and silly products to spark our human curiosity. ‘What the hell is that thing?’ we ask, clicking through to Amazon.com to find out the answer. Or ‘Can you believe Amazon advertised this ridiculous product to me?’ we say, while writing an article full of references to the brand. Perhaps Amazon’s ads are intentionally obtuse in the hopes of sparking incredulous clicks and ironic Retweets – oh, and we might as well pick up some batteries or a book while we find ourselves on Amazon. This might be the most boring theory, but it’s possible. Perhaps Amazon finds itself with a few odds and ends left in the warehouse from a seller who has discontinued a product or closed up shop. People aren’t proactively searching for these products, nor are the items worthy of wasting prime real estate on Amazon.com to advertise and suggest. So what does Amazon do? 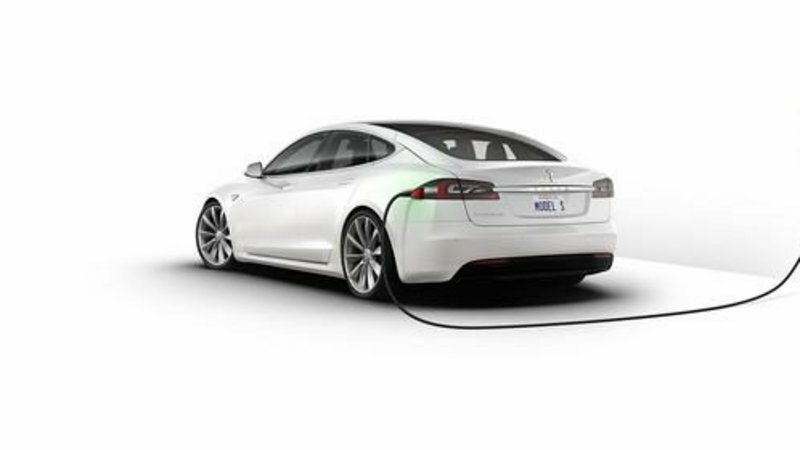 They find the cheapest sort of advertising inventory, buy it in bulk from a platform like Twitter, and advertise the product until some strange soul who thinks they may have a refrigerant leak stumbles across the perfect product and snaps up the last one in stock. Problem solved, and warehouse square footage cleared. One marketing expert I spoke with posited that Amazon may be running a sort of scheme to pull the wool over Twitter’s eyes. 'I think they’re secretly CPM awareness ads sold on a CPC buying model,’ he says. 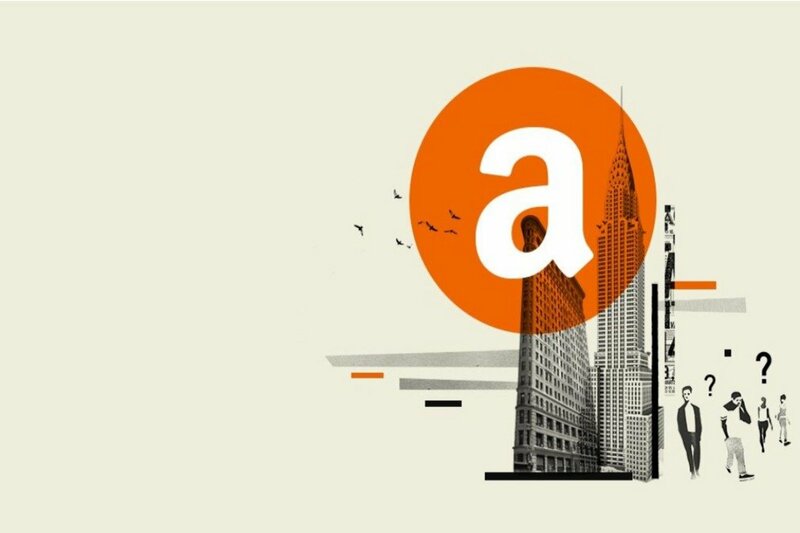 The theory goes like this: Amazon convinces a platform it’s buying display advertising with the goal of driving people to its site, negotiating rates that are based on how many people click the ad. Then – twist! 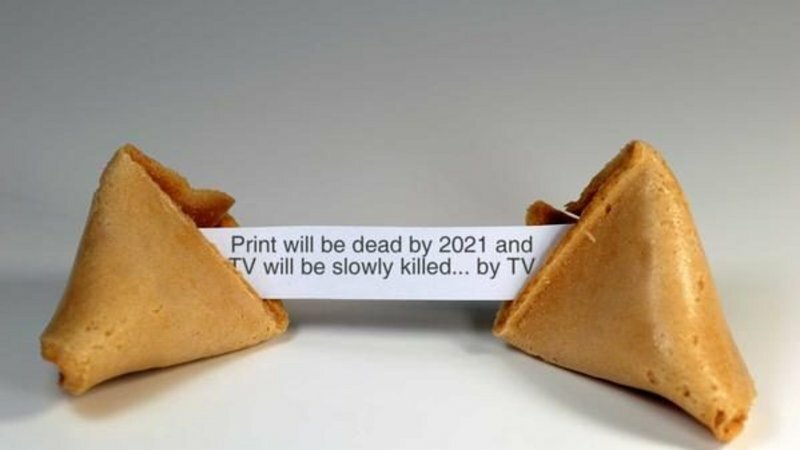 – it creates the least compelling, most random ads it can, ensuring that as few people as possible will click on the ads. The ad’s price stays low, and Amazon secures a constant presence in your consciousness for pennies on the dollar. After Target was famously accused of hyper-targeting its advertising newsletters to people based on past purchases, it adopted a new tactic. But it didn’t remove the targeted ads from its circulars – after all, they were more likely to lead directly to purchase. Instead, it intentionally included advertisements it knew the reader would interpret as irrelevant: a kid’s toy to a senior citizen, a hair curler to a bald man. Perhaps Amazon is pulling a similar trick with these ads, hoping consumers will think more kindly of a retail giant advertising irrelevant tchotchkes than they would of a Big Brother advertising the dish soap they just ran out of. Perhaps the most paranoid theory: Amazon is using Twitter as a further-from-purchase-point research method to fine-tune its recommendations algorithms (to sell you things later on Amazon). It’s pretty sure you’re just interested in dystopian fiction...but maybe you’re also a doomsday prepper? Rather than ask you directly by surfacing related products on Amazon.com after you buy the Hunger Games books, it casually floats the idea by you with a bucket of powdered milk on Twitter. These are just theories, unfortunately. I can’t solve this mystery. I don’t have the answer for why Amazon is advertising these ridiculous products in what seems to be a tactical and intentional way. 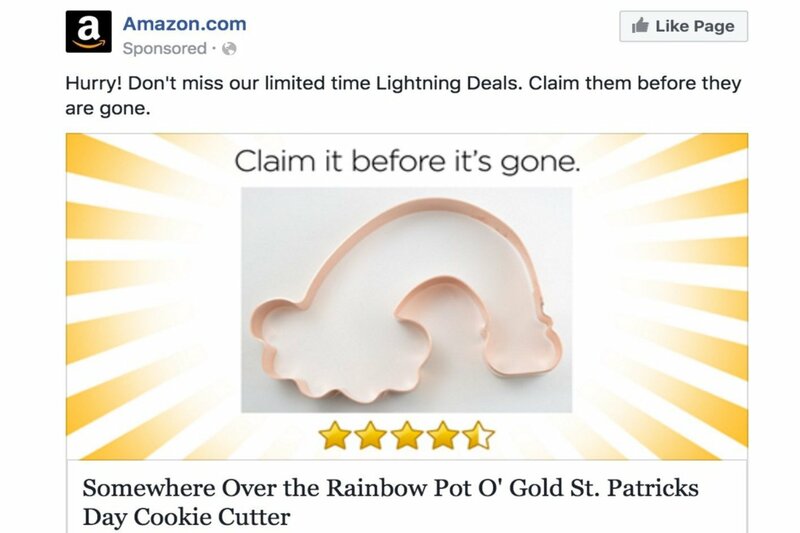 But regardless of why Amazon does what it does, these display ads are among the few online today that bring me pure joy every time I see them. If you have an idea (or an inside source) about what’s going on here, let me know – [email protected]. I’d love to hear your off-the-wall theories or your insider understanding. In the meantime, I’ll be slicing meat and trying to figure out what this glowing blue light orb does.